There is of course a deep spiritual need which the pilgrimage seems to satisfy, particularly for those hardy enough to tackle the journey on foot. When August arrives in Madrid, everything changes. Temperatures rise, crowds thin out, shops tape handwritten 'cerrado por vacaciones' signs to their windows. Summer in Madrid means most Madrileños escape to the countryside or coast to cool down, and so as not to feel left behind, I planned a road trip to northern Spain with my trusty travel companion Mango. Being me, the main purpose of our trip was to nerd up on Spain's plentiful UNESCO sites rounded out with some unconventional stops. I rented a car and enjoyed Spain's breathtaking scenery, an experience in itself because the rolling, lush countryside is free of obnoxious roadside billboards since 1988 when the government banned them for safety reasons. There were many things to see and great distances to travel but I managed to diligently follow my itinerary. So, without further adieu, here is where we went on our first full day. 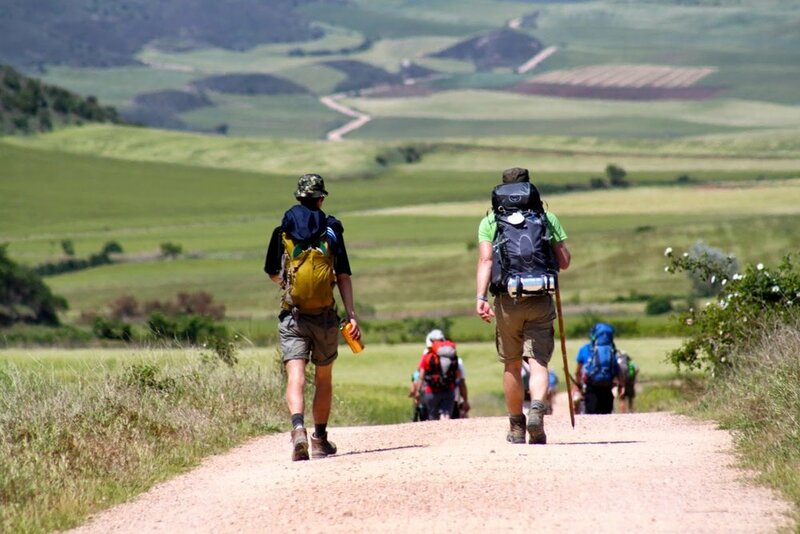 On the road from Madrid to Santiago de Compostela, I passed them on dusty paths running parallel to the asphalt: pilgrims also heading in the direction of Santiago but on foot; alone, in pairs, in big groups, young, old; rarely without a hat and backpack. These people were walking on the 1,500 kilometer network of Christian pilgrimage routes that make up the UNESCO-listed Routes of Santiago de Compostela, in use since the 6th century AD and supported by clusters of churches, hospitals, hostels, and bridges every kilometer or so. Pilgrims come from all over the world to walk, and I felt awkward being the one in the car while all I wanted to do was join them in their walk towards meaning. I arrived in Santiago as the day was coming to a close, and Mango and I joined thousands of other tired pilgrims in the gorgeous UNESCO-listed Old Town for the day's few remaining hours. I didn't have time (or energy) to do tourist things, so I contentedly walked around this pilgrimage site symbolical of the Spanish Christians' struggle against Islam. 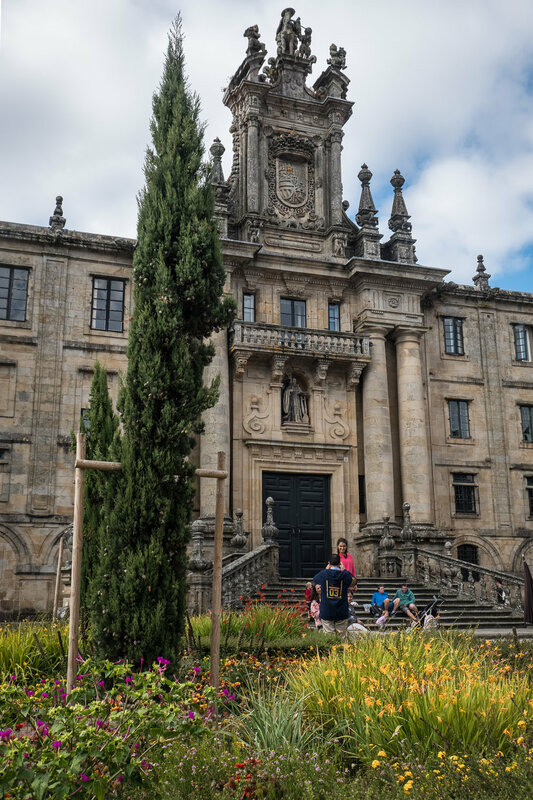 According to UNESCO, Muslims destroyed Santiago de Compostela's Old Town at the end of the 10th century, and in the following century it was completely rebuilt with grand Romanesque, Gothic and Baroque buildings. The 1st century AD Tower of Hercules stands regally on a high rock at the mouth of La Coruña's harbor, greeting visitors by land and water. This UNESCO World Heritage Site served as a lighthouse and lookout for the Romans since they built it tens of thousands of years ago. 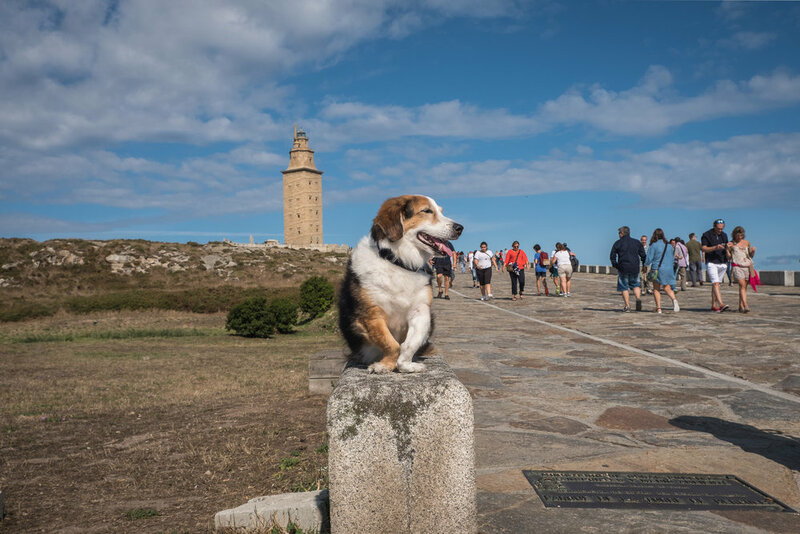 According to UNESCO, the Torre de Hércules is the "only lighthouse of Greco-Roman antiquity to have retained a measure of structural integrity and functional continuity." A quick, but steep, climb to the tower base affords sweeping views of bright blue water and rolling green hills; interestingly enough, the site also boasts a giant mosaic compass, a contemporary sculpture park, and Iron Age rock carvings. It's hard to miss the surreal, almost bizarre lampposts in A Coruña, each one featuring a different painting. Simply put, Romans built these sturdy UNESCO-listed walls in the 3rd century AD to defend their town of Lucus and today they are "the finest example of late Roman fortifications in western Europe." After thousands of years, the walls remain miraculously intact and easy to access. Four staircases and two ramps welcome visitors to the elevated walkway, providing a surprisingly tranquil path worlds away from the busy city below. And the best part, of course, is that the entire wall is open and accessible to the public for free.